iRadio Recorder is an application with which you will be able to tune in to various Internet radios and record their broadcasts on your hard drive, so as to have a song or a broadcast that you really like available whenever you want to listen to it. Thanks to a very simple interface, the program is very intuitive, and doesn't require any knowledge about audio recording. 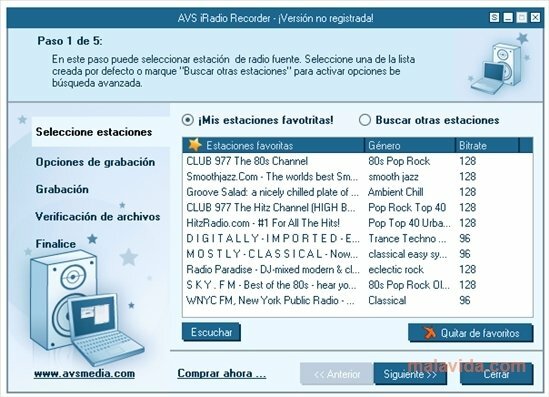 The application offers various preset radio stations, but it also has the option to add those that you want by means of the URL address or by means of a practical search engine. 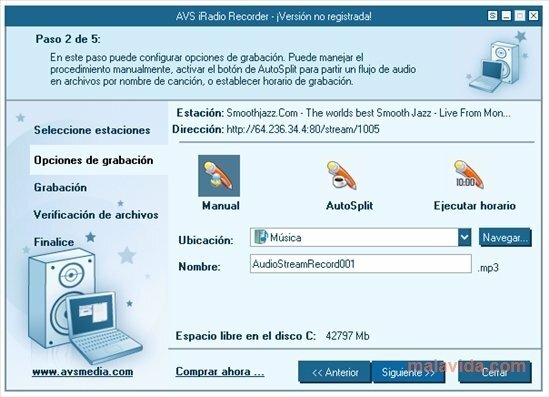 In the recording options menu, you have the possibility to program the tool so that it only records during the broadcast of the program that you are interested in. Other interesting functions are the file verifier it includes and the collection of skins to change the application's interface. Download iRadio Recorder and discover one of the most simple ways to record your favorite radio programs.